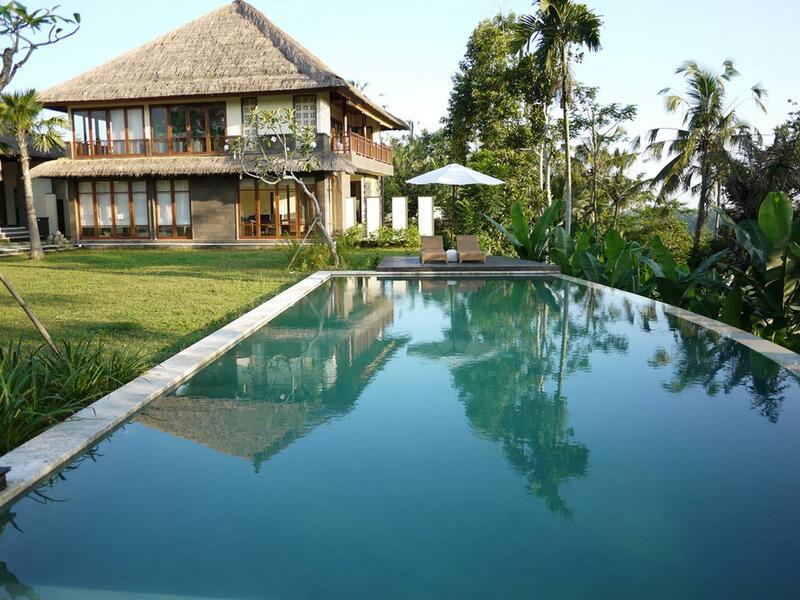 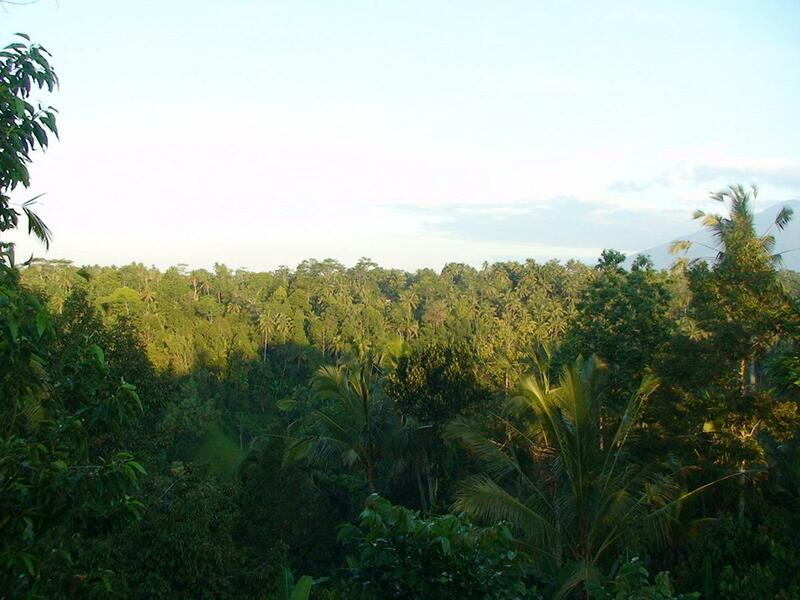 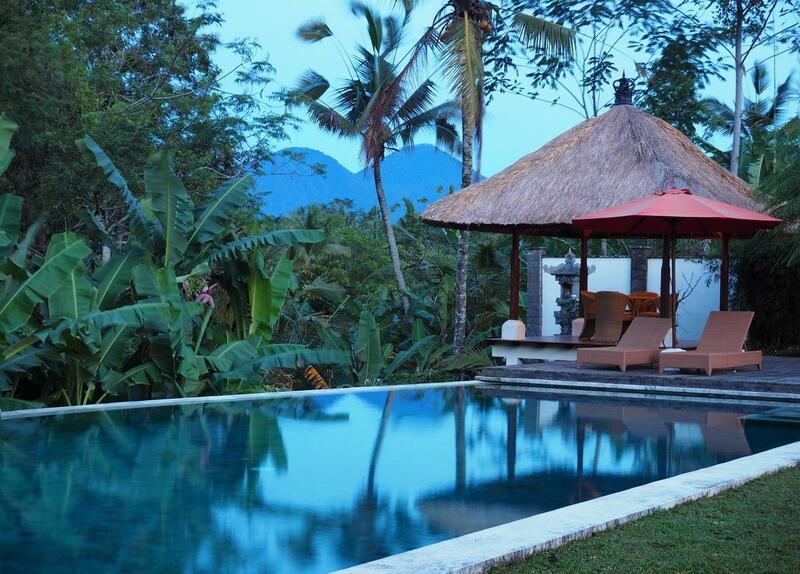 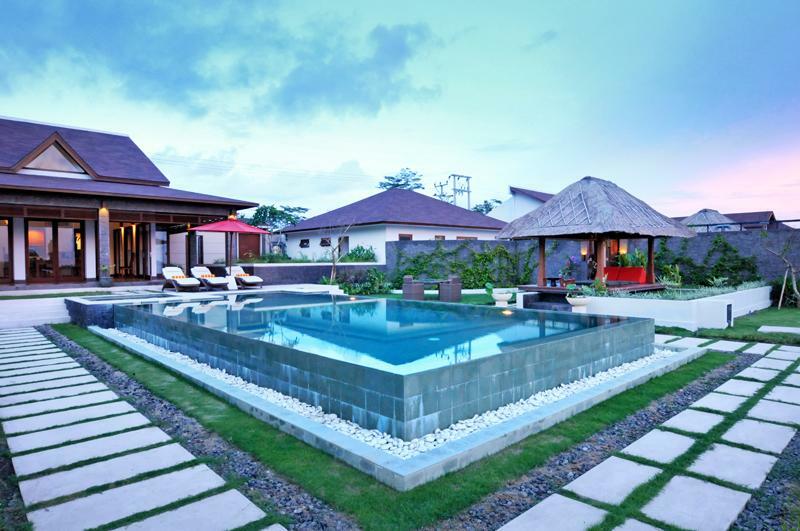 Villa 3516 is a very elegant Bali villa situated within peaceful surrounding in Ubud. 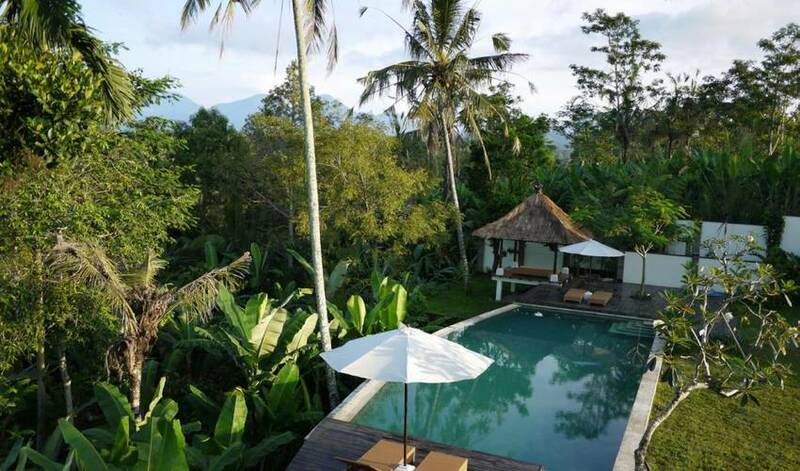 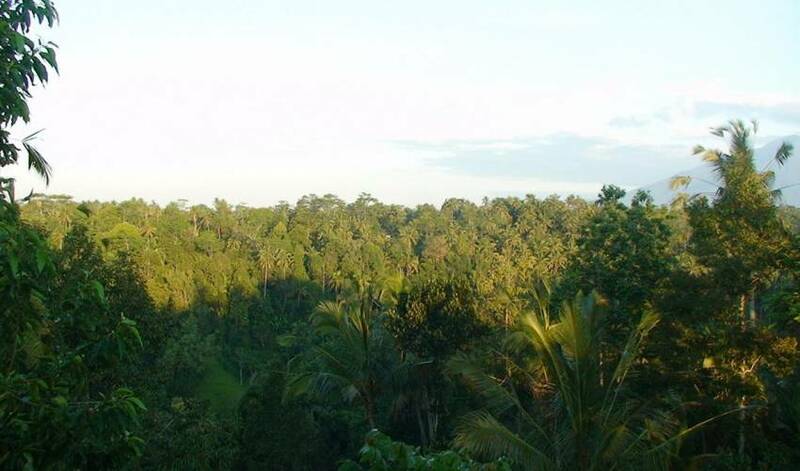 Around an hour from Ubud center, the villa is just perfect hideaways, where you can enjoy your own luxurious holiday home with breathtaking view to the valley. 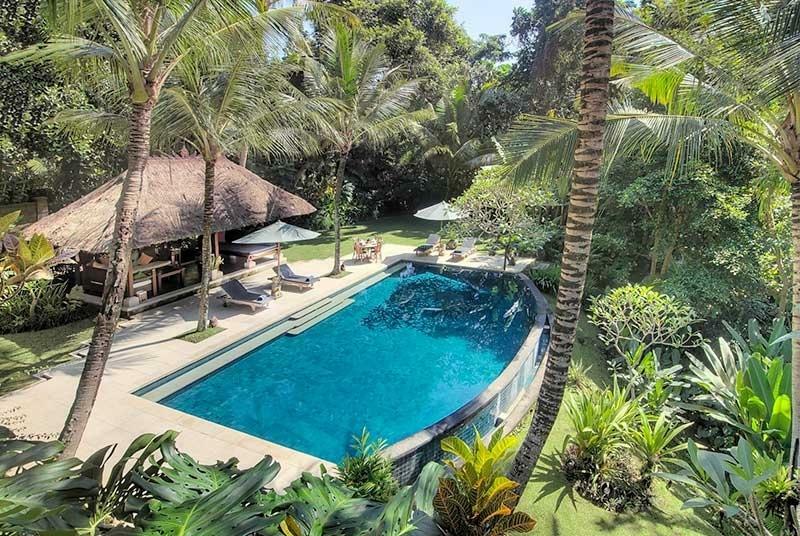 Villa 3516 is a spacious 4 bedrooms villa with 3 en suite bathroom, sit on around 3,600 m2 of land wrapped in a beautiful Balinese garden. 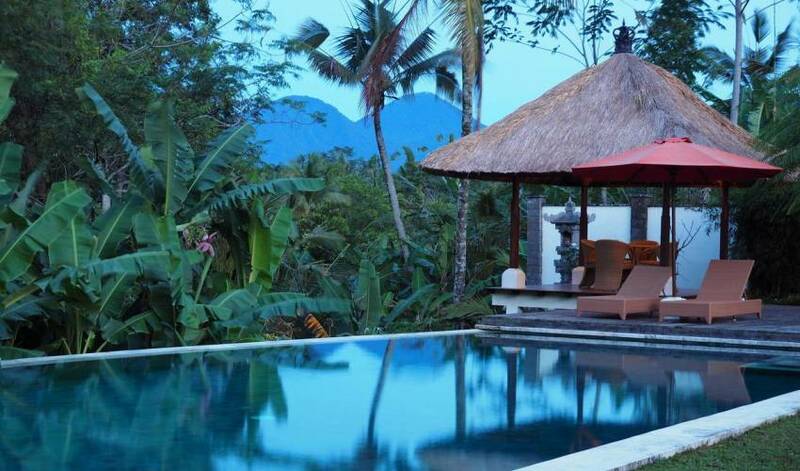 This stunning villa accommodation is comprises of 3 houses including the main house- a spacious open style pavilion with seating area, and two sleeping pavilions. 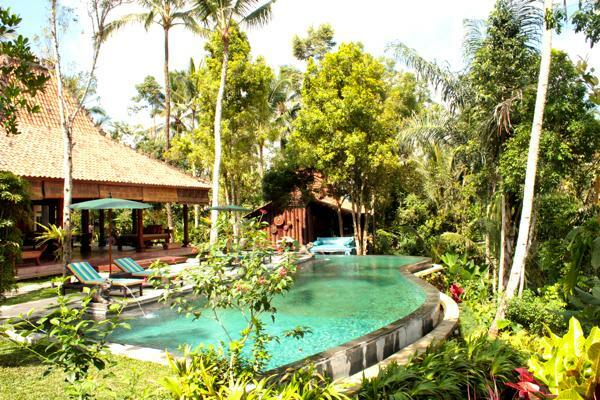 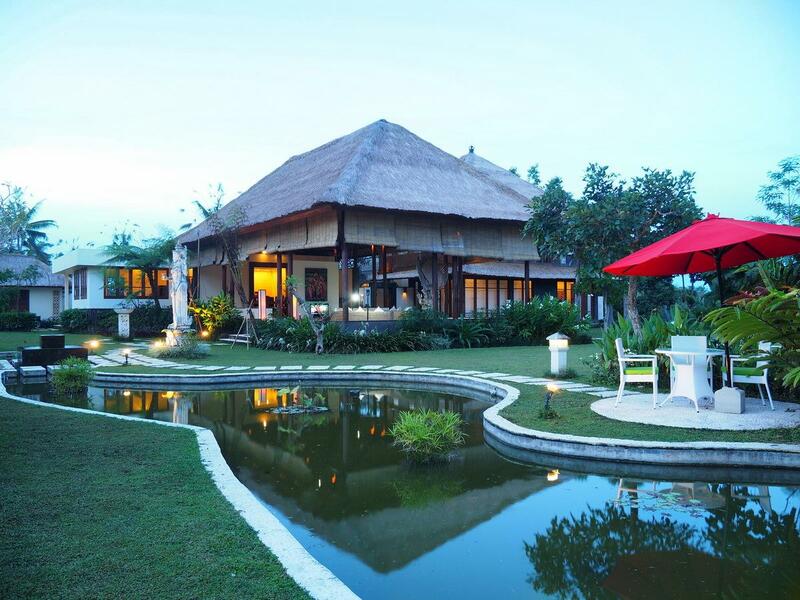 The villa has swimming pool, large living and dining areas, fully equipped kitchen, a wonderful Balinese garden of 3.600 m² with pond, fountain and small waterfall, and library /TV room. 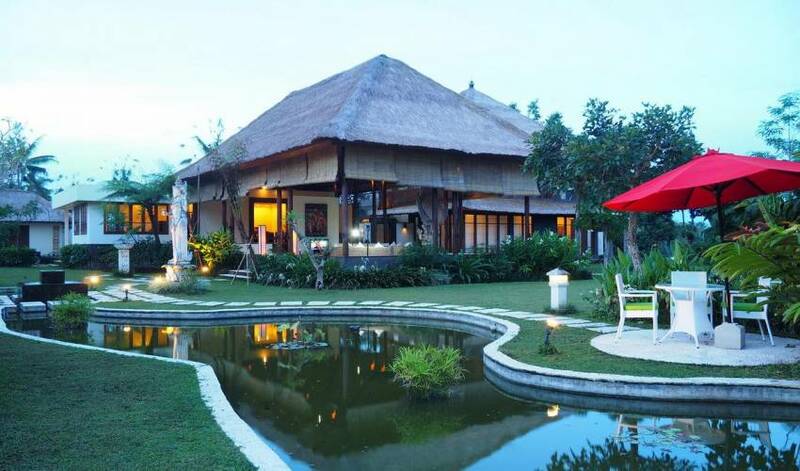 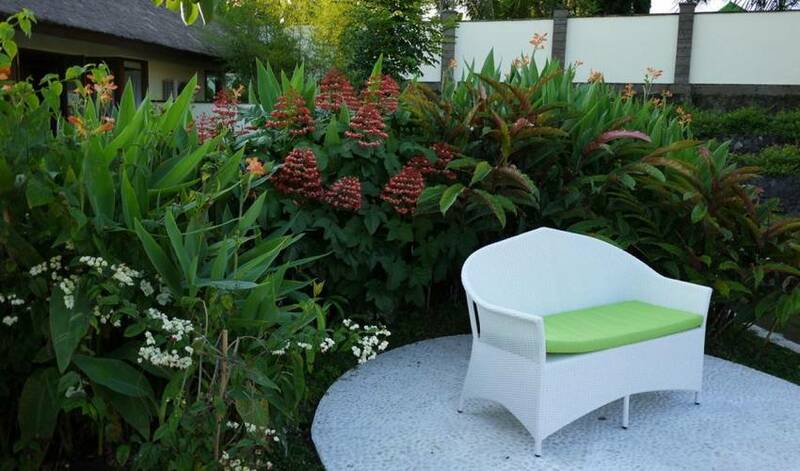 The guests will certainly enjoy many pieces of art such as paintings and statues by renowned Balinese artists. 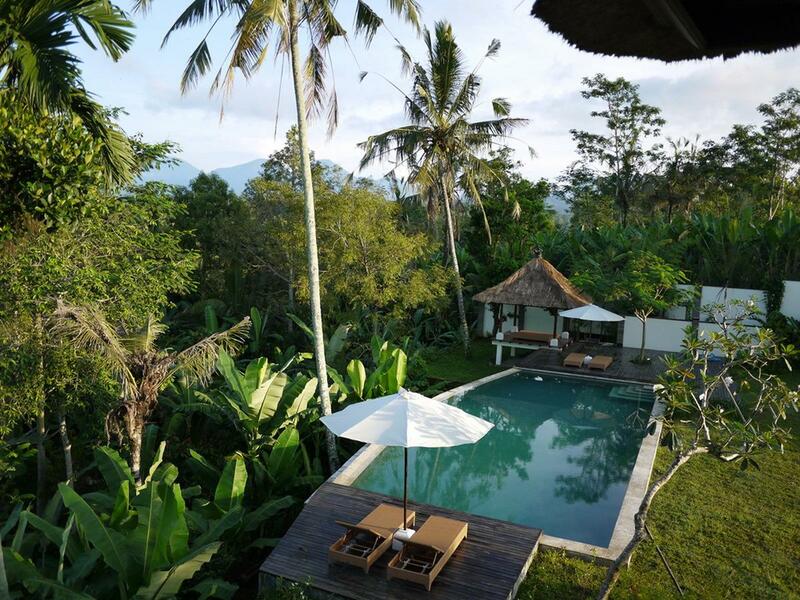 It’s needless to say that the friendly staff will cater for your every need. 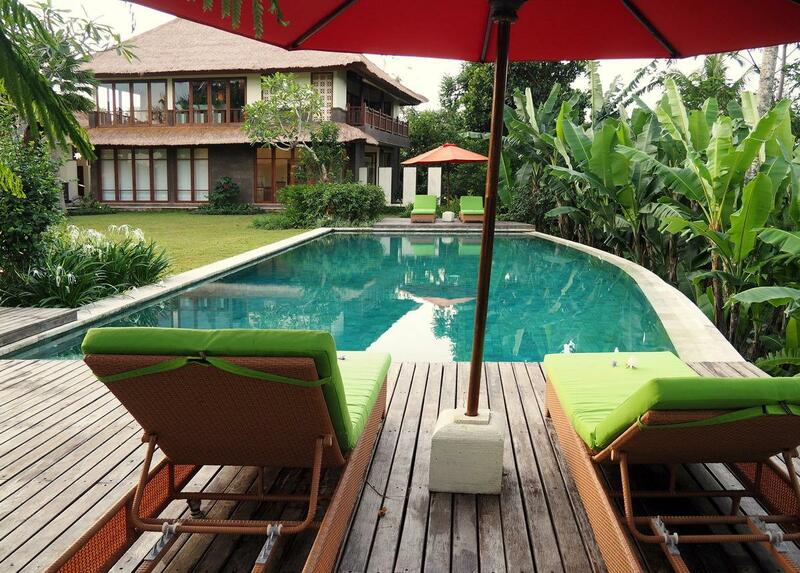 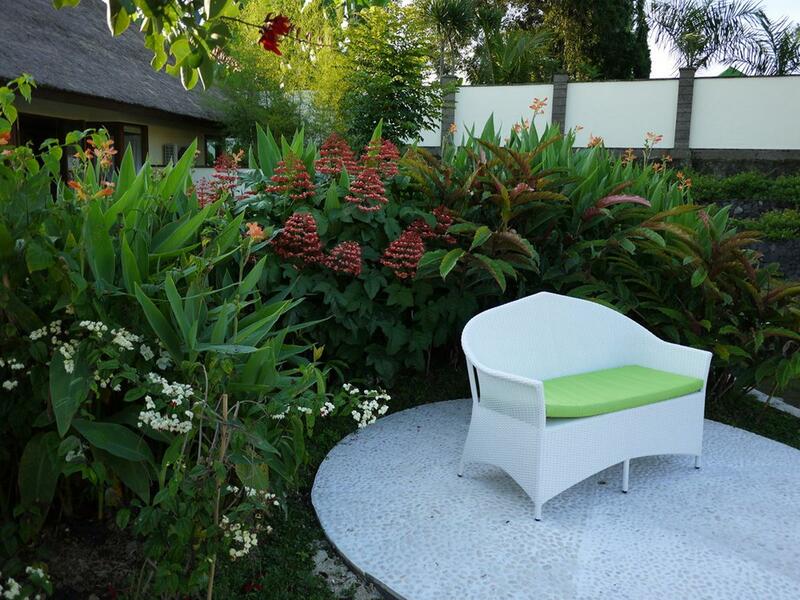 Enjoy your relaxing day by the pool, where some pool chairs are places on its wooden deck. 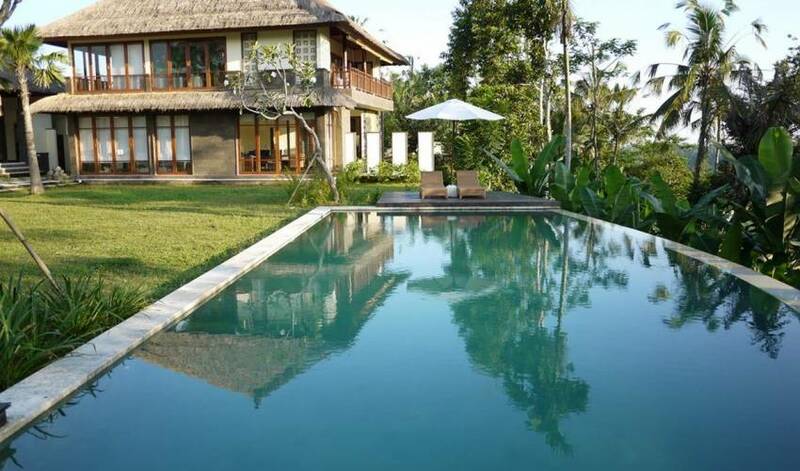 The villa is well decorated with fine collection of stylish artworks, and fitted with modern comfort that make it an enjoyable villa rental.